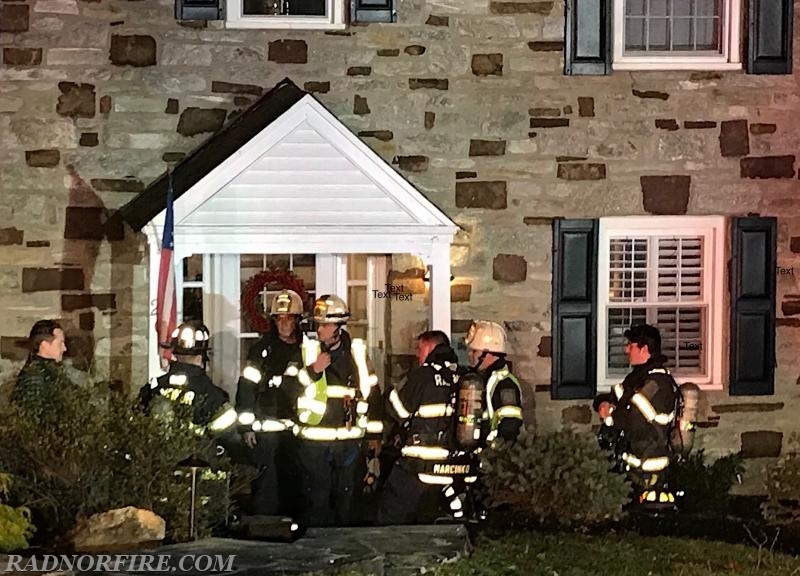 Radnor firefighters, EMS personnel and a full company of RFC apparatus were on-hand Monday evening to respond to reports of a residential carbon monoxide alarm and possible sick persons at a home on Briar Road in Wayne. 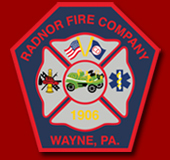 The call was received at 8:58 PM as RFC crews were concluding weekly drills in Radnor. 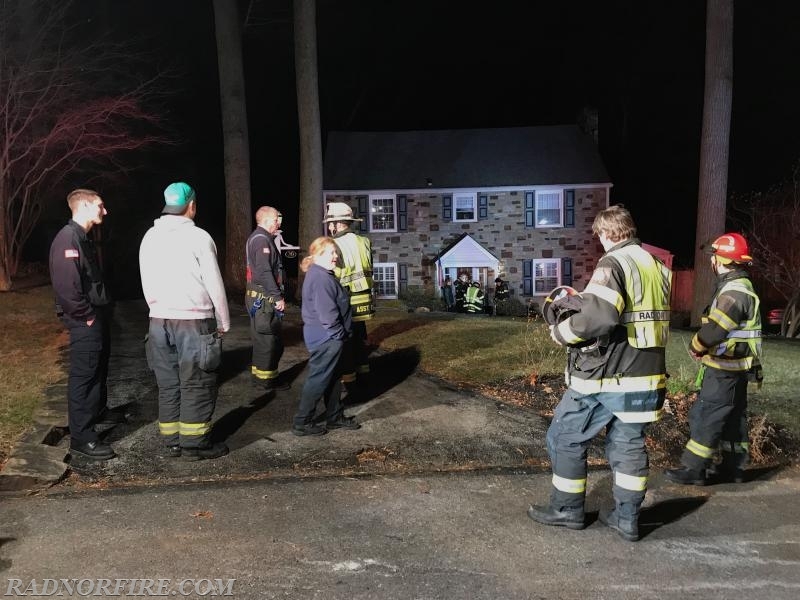 Engine 15, Quint 15 and Ambulance 15-7 were first to respond and firefighters protected by self-contained breathing apparatus checked the residence using gas meters. Squad 15, Engine 15-1 and Rescue 15 firefighters also responded. Crews determined there was no indication of CO at the home. 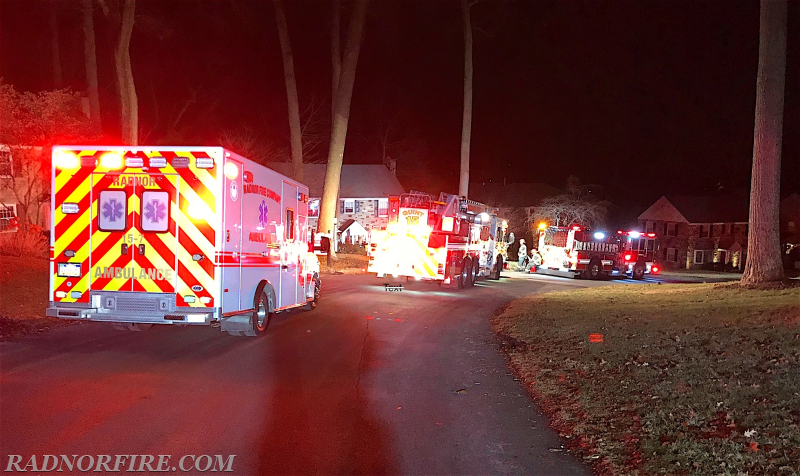 During the same time period, Engine 15-1 was dispatched to a possible gas leak in the 100 block of Windermere Avenue in South Wayne. All RFC apparatus and crews were made available by 9:20 PM.